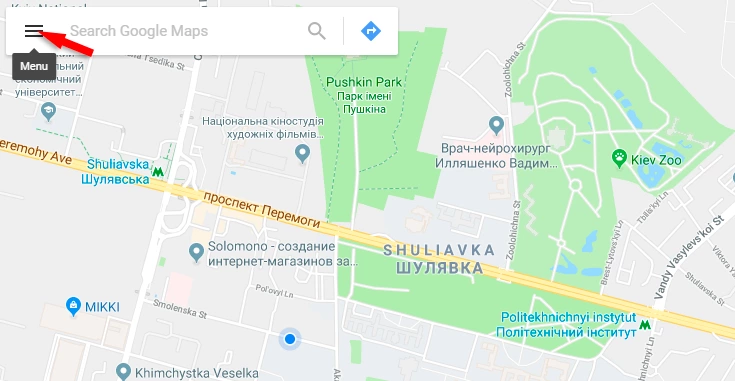 We have an article "Contacts" and we need to insert a map of our location there. 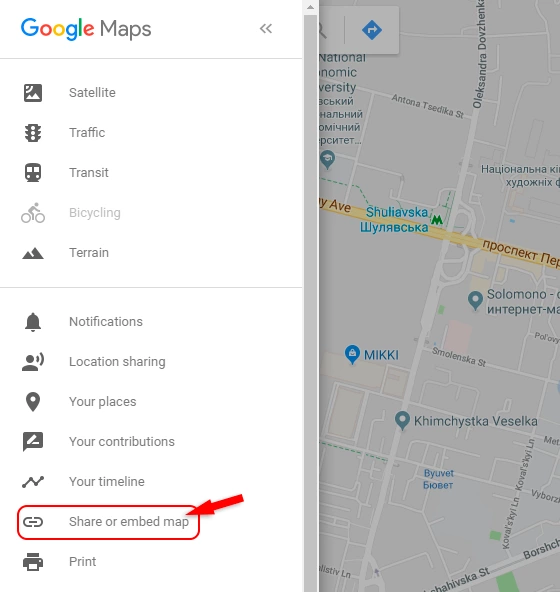 1) Open the Google map (follow this link: https://www.google.com.ua/maps/). Before us the map will open. 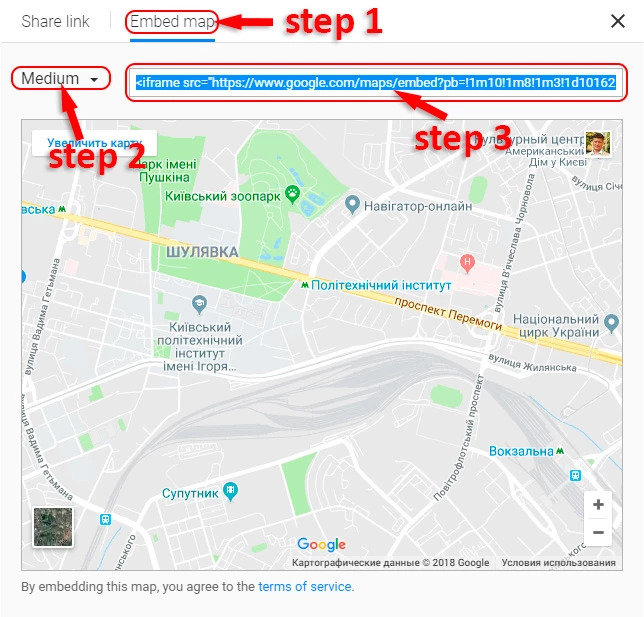 In the search box, you can enter the address you need and when you see what you were looking for, at the top left, click "Menu"
In the opened window, we need to make three important steps. Select all the code and copy it. 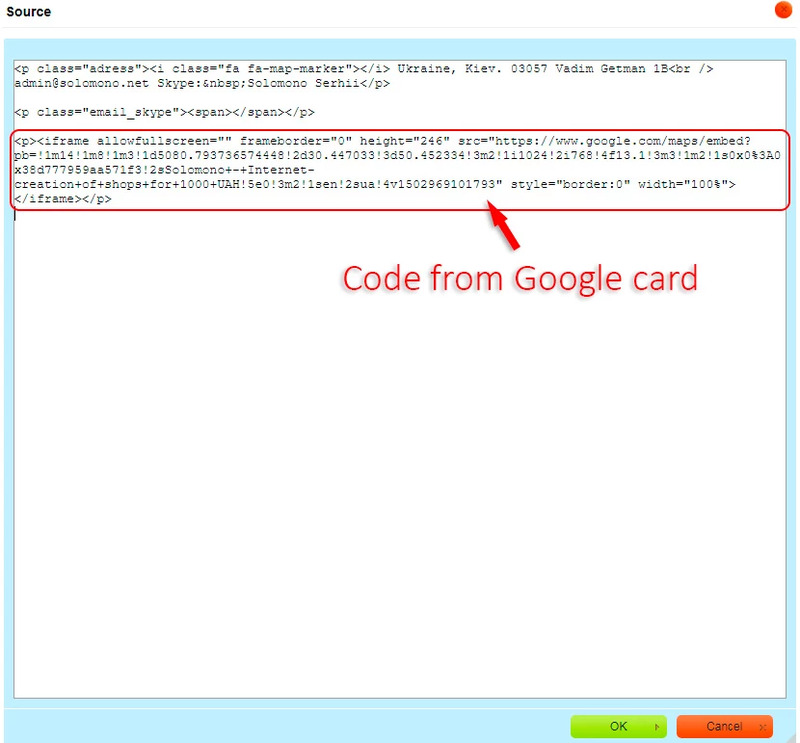 Now we have the code that needs to be inserted into the article "Contacts". 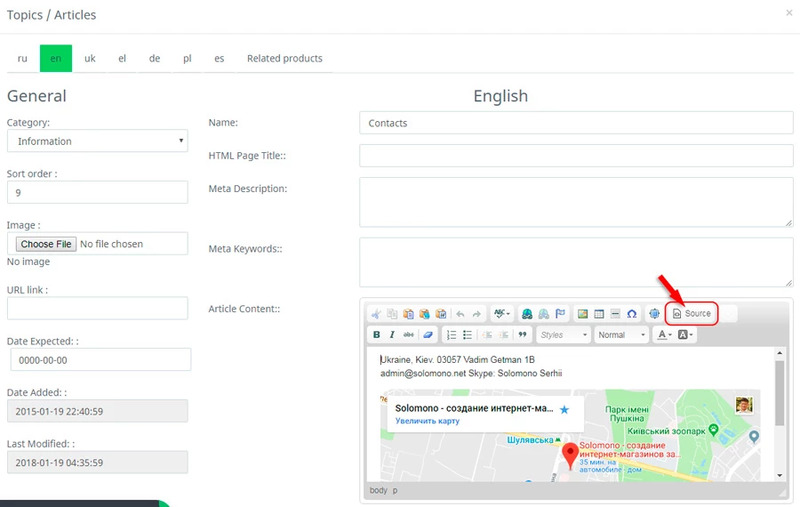 2) Next you need to go through "Info pages / Pages / Information" and click "Update" article "Contacts"
A window will open for editing the article, where we need to click "Source". In the window that opens, we paste the code that we copied into the Google map and click "OK". Now the map appeared in our contacts. Quote for you: "Charge them that are rich in this world, that they be not highminded, nor trust in uncertain riches, but in the living God, who giveth us richly all things to enjoy; That they do good, that they be rich in good works, ready to distribute, willing to communicate…"